Hey Dylan, welcome! Are you joining us for Hands Across The Sand Tomorrow? Yo CJ! I’ll be there in spirit! Right on dude! It was pretty awesome. Hey Ashley! Where are you adventuring these days? The Washington coast! We just got back from the Olympic peninsula a few wks ago. The tides were low great for shucking oysters and watching Elk near the water. Pics or it didn’t happen! Sounds amazing. We gotta make it up that way! Hey Ysis! Stoked you’re coming to the One Watershed event on Saturday! Excited to meet you guys and learn more about your amazing work! whoop! excited to meet you too! Hi Jane, great to meet you! What’s your favorite thing to do outdoors? Hi! Thanks 🙂 I started learning to surf late last summer and basically haven’t been able to think about anything else since. So my current mode is all things surfing and ocean!! I know the feeling! I didn’t start urging until last year either and I’ve been glued to my board ever since. Where you doing your Surfing? Oh awesome! Would love to hear more about your experience. I surf at one of the easier beach breaks in Malibu (which is where I learned) or more & more in Venice near where I live. How about you? I’m going on a whitewater trip to the Kern next weekend and need some gear. Anyone willing to rent me/loan me a skirt, paddle and helmet? Who can edit the forum title? It should include rent/sale/borrow/swap. Where can I get them used? Anyone willing to let me rent/borrow? Hey @alohabrian! What kind of adventures are you getting into lately? We need a used gear for sale/rent/borrow forum and/or group. We need a “StokeShare’s Guide to Spearfishing guns” on here. yeah thats what i want…. to be out with a bunch of guys with itchy trigger fingers underwater slinging steel…. initially it sounds horrific, but i trust in your logistics… so if we can get it together and you’ll attend, I would be down to bring stuff and poke fish… where do you think you’d want to do it? Let me know and I’ll come down! Joel, can you start a group for this? Is Group the best route? I’m a little uncertain on forum vs group. A forum can exist within a group. Group can be created and managed by members. I’d say group. 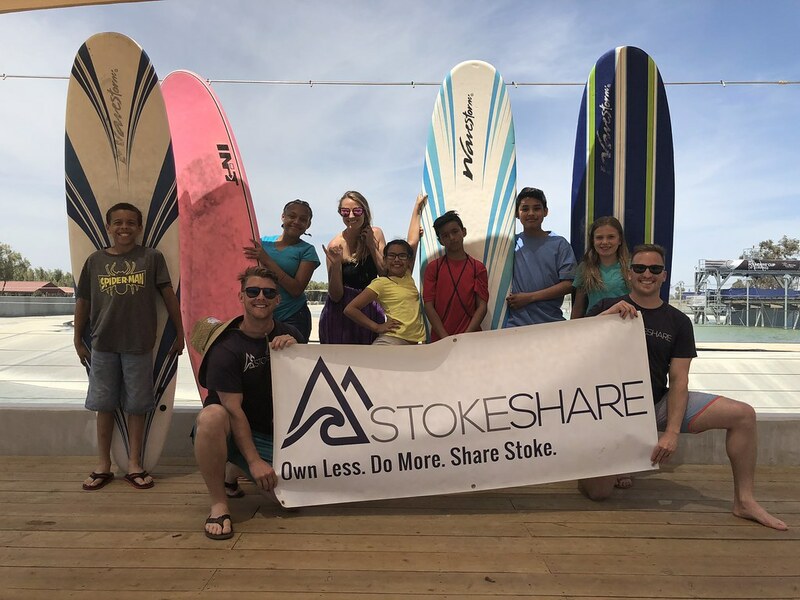 We need StokeShare t-shirts that say “Fully Stoked” in honor of you, Mark. YEWWWwwwww! I gotta get up the mountain, hear it’s gonna dump this weekend.